Fabric yo-yos are one of the easiest embellishments to make for your special project. They are also a great way to use up some of those scraps that you have stashed away. Also, they are a fun thing to do with your child to create a new look. 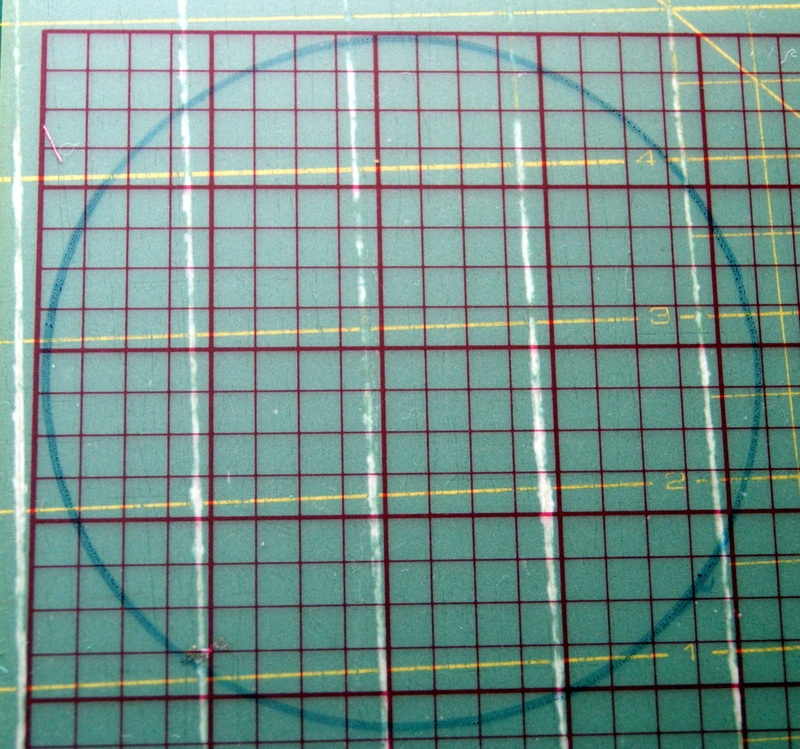 The yo-yo pattern is a basic circle. 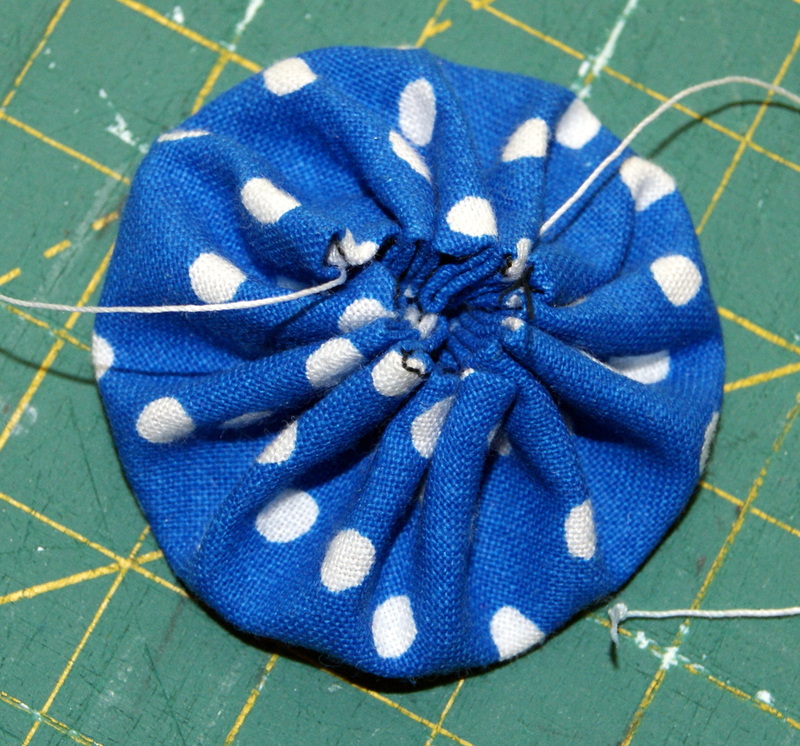 Your circle pattern needs to be twice as wide as you want your finished yo-yo plus a 1/4″ seam allowance. Once you have determined the size of your yo-yo pattern, draw and cut it out on a piece of heavy stock card paper or use plastic template material found in quilting supplies. Use a compass to make your circle or trace around something you might have on hand, (a drinking glass, a CD, a tin can) or purchase a yo-yo maker or a quilter’s template for circles. Here I used a roll of packing tape!! Next trace your pattern onto the wrong side of your fabric. Some fabric choices that work best for making yo-yos are cotton, light weight denim, flannel, wool, light weight corduroy, and felt. Remember, you will be gathering up your fabric circle to form the yo-yo, so it is best to use lighter weight materials. Cut out your yo-yo with scissors or a rotary cutter. Remember, if working with a child you might have to do the cutting. Now you will be folding in your 1/4″ seam allowance onto the wrong side of your fabric with gathering stitches. 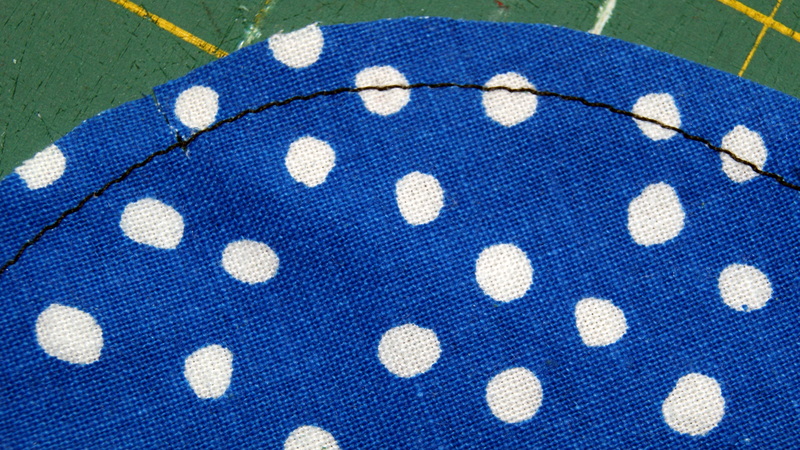 You can usually just eyeball your 1/4″ seam allowance, however, if you want to insure your seam allowance is consistent, you can sew a line of stitching 1/4″ from edge of circle and then fold in on that stitch line. I like to knot one end of my gathering stitch at the beginning and I strongly recommend using a heavy/strong thread for this step. I have had great success with Dual Duty by Coats and Clark. Also, keep in mind that short gathering stitches will create a larger, more open center on your yo-yo and longer gathering stitches will make tighter center. Something to keep in mind when determining what look you want for your finished yoyo. To begin the gathering, pull the knotted end of thread out about 3-4″ and continue gathering from the other end until you have it as tight as you want. Once gathered, tie a tight square knot (right over left and then left over right) with your thread for a secure closure. Flatten and smooth out your finished yo-yo. Sew on buttons in the center for flowers, make a smaller yo-yo and sew on top of the larger yo-yo for a dimensional effect, make streamers with yarn or threads to hang from the yo-yo itself, let your imagine run wild. Yo-yos make wonderful appliques (add fabric stems and leaves for flowers), decorate a headband, use them for pins or pocket accents, or add them to your jeans for a fun look too, the idea list is endless. Now that you have your applique design attached to your garment or home decor project, you can further enhance your look with decorative stitching. One way that I really like to finish the look to my design is a very narrow zigzag stitch or satin stitch. I adjust my sewing machine to have a short stitch length (2.5 on my machine, Pfaff 7570) and a very narrow (.30) stitch width. I don’t like to see any spaces between my stitches when I do the satin stitch. I want my stitches touching each other but not stitching on top of each other. You probably will want to do a sample swatch to determine what stitching looks best for your applique. Of course, if the satin stitch isn’t your cup of tea, just a simple zigzag along the outer edges looks great too. A blanket stitch is another nice finish you can do on your applique or if your machine has some built-in decorative stitches now would be a great chance to use some of them. 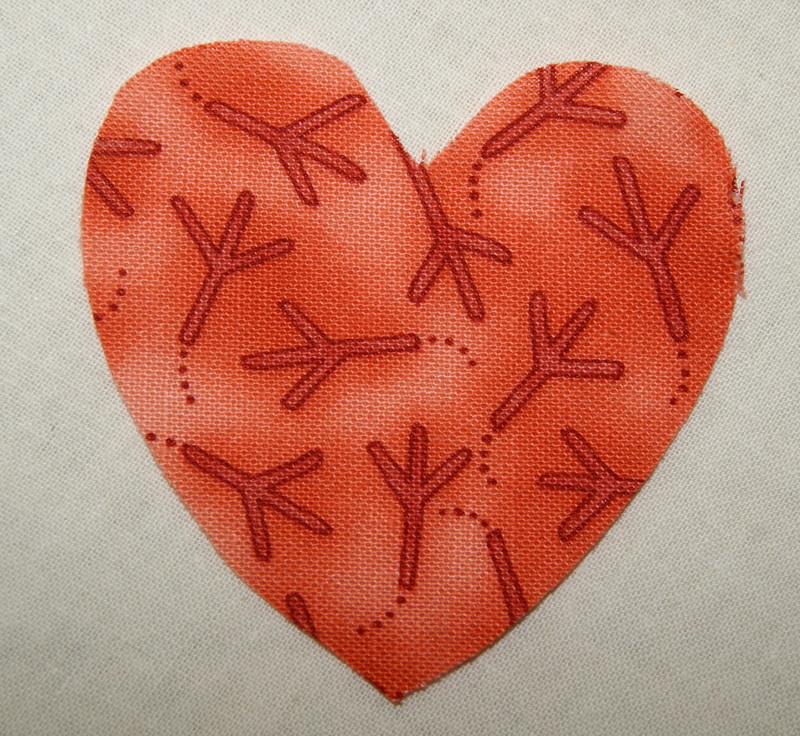 Another hint to help keep your applique design looking great is to maybe use some tear away stabilizer underneath. The stabilizer works wonderful especially if you are stitching your design onto a fabric that has a loose weave to it. It will help keep everything from becoming distorted or stretched out of shape. You can easily find stabilizer at your local fabric store. 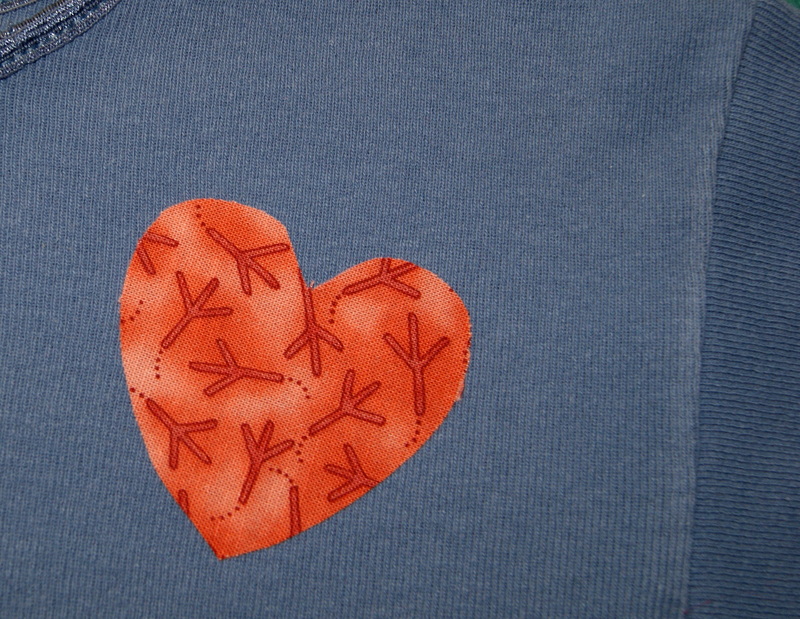 Using appliques is really a fun way to personalize your items. Also, is a really nice touch to make your handmade gift truly unique!! TIP: Keeping a small spiral bound notebook readily available stored within your sewing basket is a great way to write down important details like your stitch width and length that you use for appliquing. As often as I think I will remember that info, it just doesn’t happen for me. This way I don’t have to experiment and saves much time!! Once you have selected the applique design you want to use, there are several ways to make your design workable for your particular project. Here are a few considerations that I keep in mind to make sure my applique placement will look perfect. For me the size of the applique is very important in relationship to the item that it is going to be displayed upon. A simple rule of thumb to help you keep your applique design in proportion to your project is to create your own grid. For example, if you are placing your design on your favorite T-shirt, fold the shirt in half (top to bottom) to find center. Press it lightly with an iron so you have a crease line. 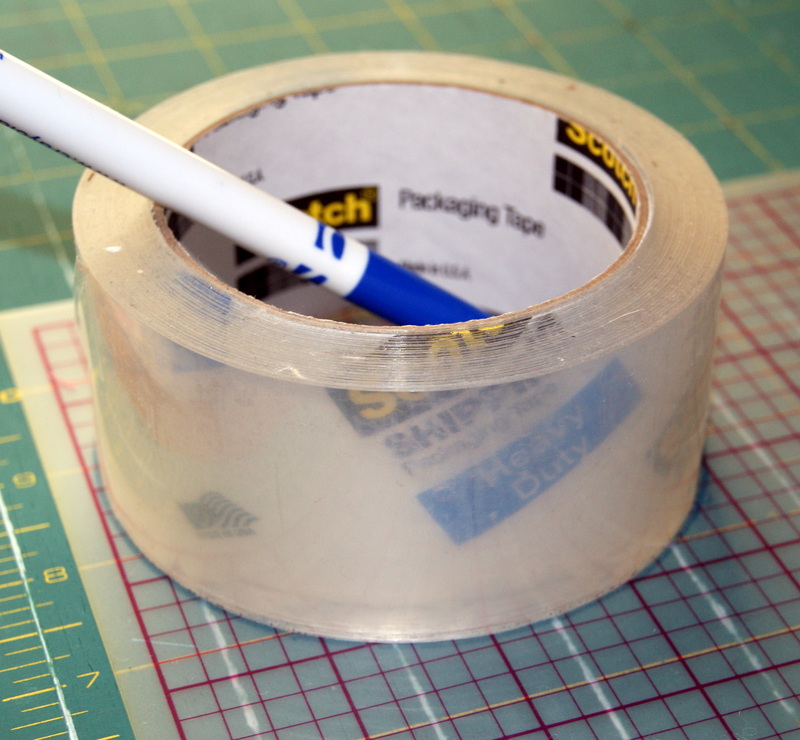 Now, fold the top down to that crease line and fold the bottom up to the center crease line and lightly press again. You will now have three crease lines on the front of your T-shirt basically running east and west. Do the same thing again folding from the sides of your T-shirt. Fold in half and press lightly to form a vertical center line, now bring the left side to the center crease and press lightly, then bring the right side of the shirt to the center crease line and press lightly. You will now have three creased lines running north and south. 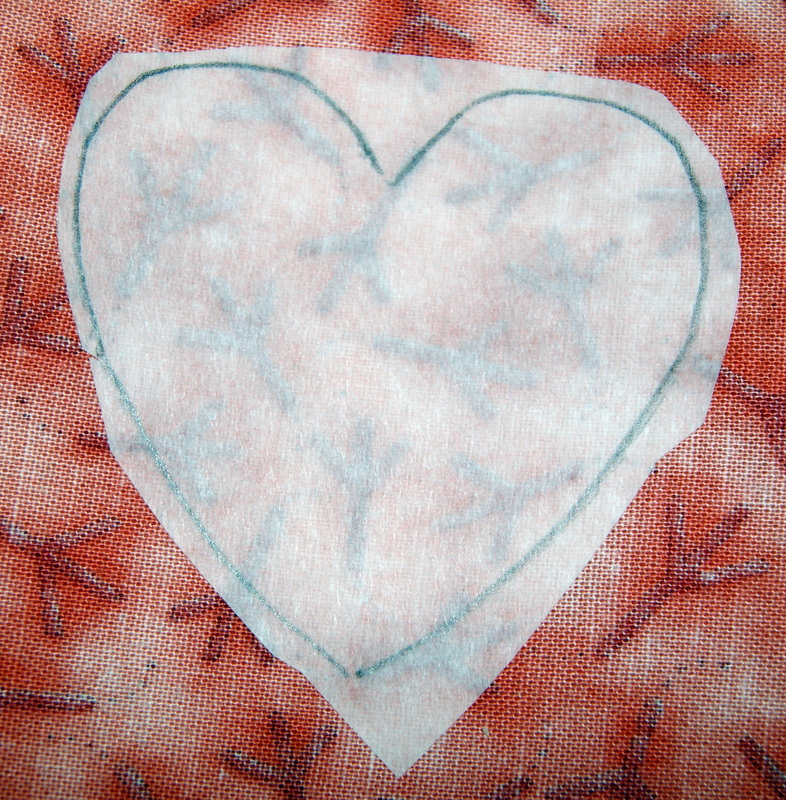 Now you have a T-shirt grid to help you center your applique and visually see how it will fit. I like to have my applique design extend from the center up to the top crease line nearest the neck and touching the lower crease line towards the bottom of the T-shirt. I also like it to extend from the center towards each left/right side crease line. If using a design from a coloring book page, place the paper pattern on your shirt and see how it fits between your grid lines. Need to change the size – fold in your paper pattern from center the same amount vertically and horizontally to decrease the size or cut your pattern through the center vertically and horizontally and spread it apart the same amount. You want to be careful not to distort your design too much so you probably don’t want to decrease or increase by more than 1/2″ inch. If the design you want to use really needs more than that to fit your item, it’s probably best to take it to a print shop and have it reprinted to the size you need. Of course, if you have used a design from the web, see if can be resized at the site or maybe copy and paste it to a program you have so you can do resizing that way. Or if all else fails, print it out and resize like a coloring book page. 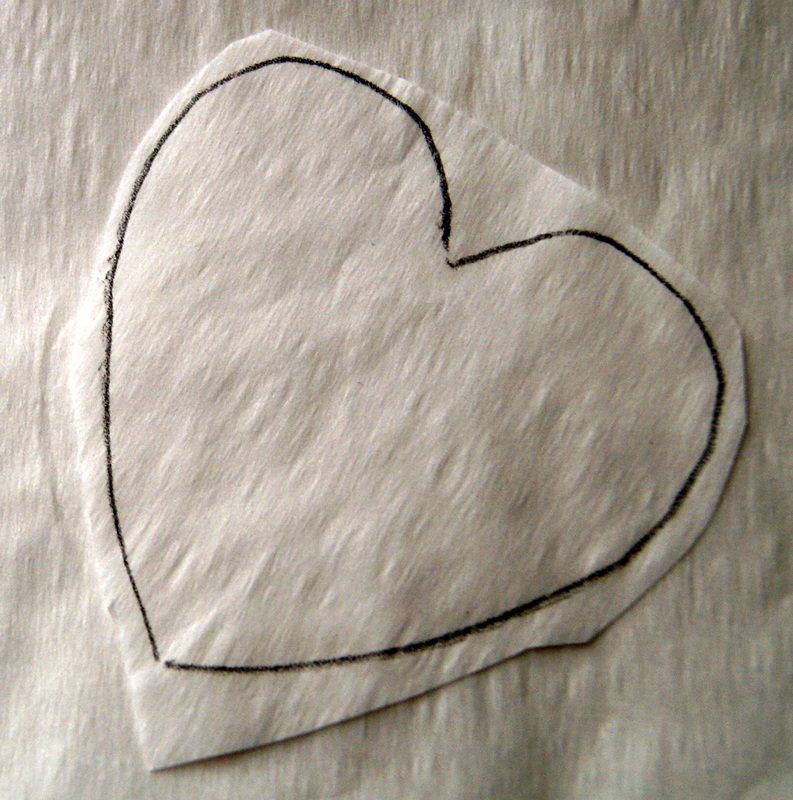 You can always trace a design you have found maybe from a magazine using a light box or taping the page to a large window and use the sun as light for tracing purposes and resize it to fit your T-shirt during this process. Also, using a light box gives you the ability to redraw your design a little smaller or bigger to fit your grid area. Making your own grid system works great for many applique projects (towels, pillow cases, tablecloths, napkins, pockets) and really insures your placement is exactly how you want it. If placing an applique design onto a small area, like a collar or cuff, I basically eyeball my placement spot. There are a lot of things you can do with a simple applique whether it is a purchased design or one created by yourself. It is a quick way to update a piece of clothing to give it your own personal look and feel. Making your own applique design doesn’t have to be labor intensive. There are many ways to help you create that very special look you want. Flipping through a basic coloring book is a quick resource idea for animals, trucks, planes, flowers, hearts, etc. When searching for an applique design for your T-shirt, keep in mind proportions and details. You don’t want your applique to be too big or too small for your shirt and you will find it an easier process if the design is more simple. Of course, you can’t beat searching through internet sites either for that perfect design. Twistynoodle is a wonderful site with 100’s of free coloring pages for kids which can be turned into an applique design too. Fonts are another great source to get that unique alphabet letter you might want. Of course, the internet offers a lot of free selections like Dafont or 1001 Free Fonts to help you make that perfect design selection. Again, select a coloring book page with that special character your little one might love. Or search the web for their favorite character and see if you can draw a simple likeness to use as an applique design. Free applique, planet applique or laughing lizards are sites specializing in designs too. Have your child help you in the design process, especially if you are making it for them. It really will be more special to him or her if they played an active role in creating their unique look.